This entry was posted in CDN, Cloud, Computer, Murmuring, Network, Security, Service, WWW and tagged balancing, beta, cdn, cloudflare, load, localhost, port, request, reverse, security, service, web, wrap on November 24, 2017 by Gea-Suan Lin. Today we are announcing AWS PrivateLink, the newest generation of VPC Endpoints which is designed for customers to access AWS services in a highly available and scalable manner, while keeping all the traffic within the AWS network. Kinesis, Service Catalog, Amazon EC2, EC2 Systems Manager (SSM), and Elastic Load Balancing (ELB) APIs are now available to use inside your VPC, with support for more services coming soon such as Key Management Service (KMS) and Amazon Cloudwatch. This entry was posted in AWS, Cloud, Computer, Murmuring, Network, Security, Service and tagged amazon, api, aws, balancing, catalog, cloud, cloudwatch, ec2, elastic, elb, endpoint, key, kinesis, kms, link, load, management, manager, network, policy, private, privatelink, security, service, ssm, system, vpc on November 9, 2017 by Gea-Suan Lin. This entry was posted in Blog, Computer, Database, Library, Murmuring, MySQL, Network, Programming, Software and tagged balancing, database, db, failover, hyperdb, load, ludicrousdb, mysql, partition, rdbms, replication, scale, wordpress on October 31, 2017 by Gea-Suan Lin. Seesaw v2 provides full support for anycast VIPs - that is, it will advertise an anycast VIP when it becomes available and will withdraw the anycast VIP if it becomes unavailable. This entry was posted in Computer, Murmuring, Network, Software, WWW and tagged anycast, balancer, balancing, bgp, go, golang, google, linux, load, lvs, robust, scalable, seesaw, server, vip, virtual on February 7, 2016 by Gea-Suan Lin. If you require RC4 ciphers you can re-enable them by selecting the 2014-10 SSL Security Policy or by manually configuring the SSL ciphers used by the load balancer. This entry was posted in AWS, Cloud, Computer, Murmuring, Network, Security, WWW and tagged amazon, aws, balancing, cipher, elastic, elb, load, rc4 on February 13, 2015 by Gea-Suan Lin. 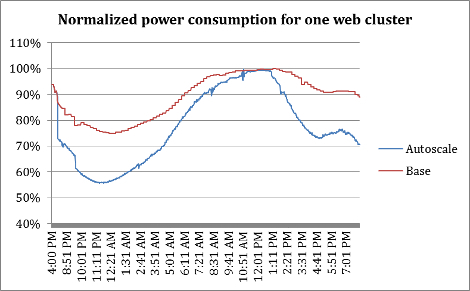 One type of a web server Facebook uses, for example, draws 60 watts when idle, 130 watts at low-level CPU utilization and 150 watts at medium-level utilization. This entry was posted in Computer, Murmuring, Network, Software, WWW and tagged autoscale, balancing, consumption, cpu, facebook, idle, load, power on August 10, 2014 by Gea-Suan Lin. 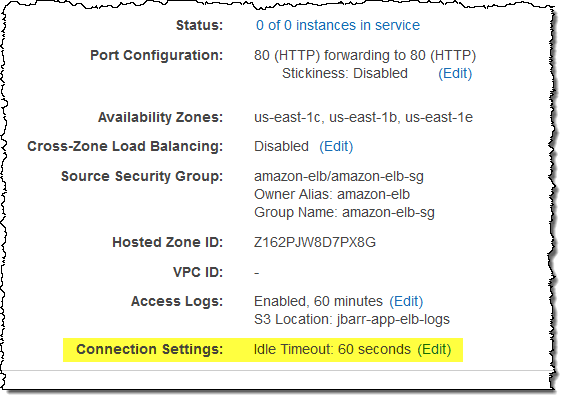 This entry was posted in AWS, Cloud, Computer, Murmuring, Network, WWW and tagged amazon, aws, balancing, cloud, connection, draining, elastic, graceful, load, shutdown on March 21, 2014 by Gea-Suan Lin. In addition to the bucket name and the prefix that you specified when you configured and enabled access logs, the log file name will also include the IP address of the load balancer, your AWS account number, the load balancer's name and region, the date (year, month, and day), the timestamp of the end of the logging interval, and a random number (to handle multiple log files for the same time interval). 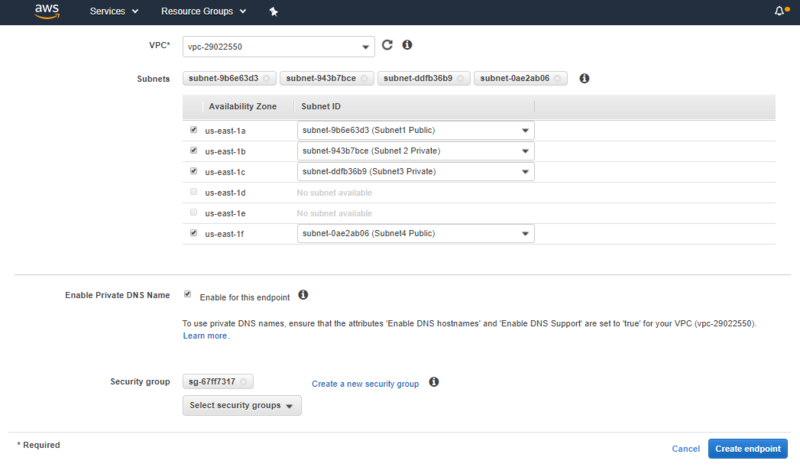 This entry was posted in AWS, Cloud, Computer, Murmuring, Network, WWW and tagged access, amazon, aws, balancing, cloud, elastic, elb, load, log on March 7, 2014 by Gea-Suan Lin.